A 50m R2 continuity lead on an easy to use extension reel. The lead is ideal for measuring earth bond continuity and for R2 measurement via the long lead method. The double insulated PVC lead is housed in a durable reel case which offers excellent protection and prevents the lead from being damaged. The lead outlet is positioned to allow for smooth unreeling and retrieval of the lead which is important when working over long distances. 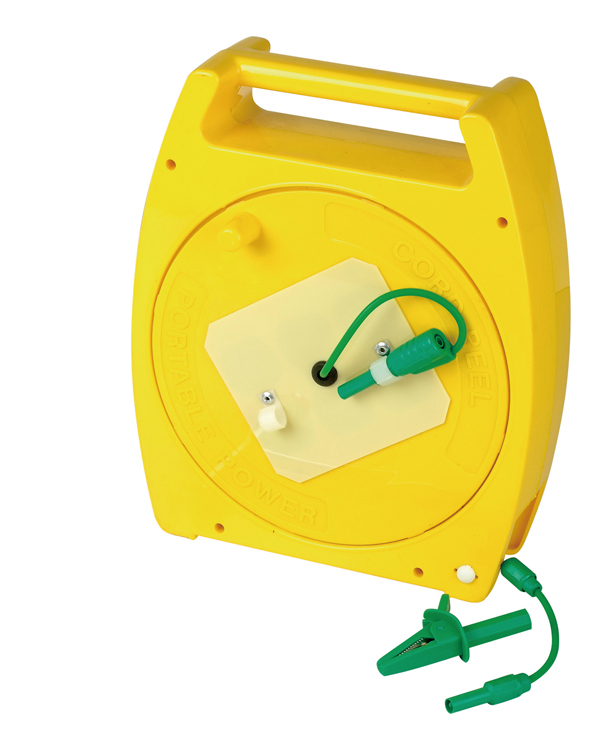 The lead is fitted with a standard 4mm plug at each end and is also supplied with a croc clip for connecting to the earth conductor.